Powerful transits are building that will continue through the end of September. They encompass the New Moon Solar Eclipse in Virgo on September 1, 2016, the Full Moon Lunar Eclipse on September 16, 2016 (Sun in Virgo, Moon in Pisces), as well as the Fall Equinox on September 22, 2016. Be extremely careful that conflict does not escalate into violence. This could happen quite suddenly, and unexpectedly. 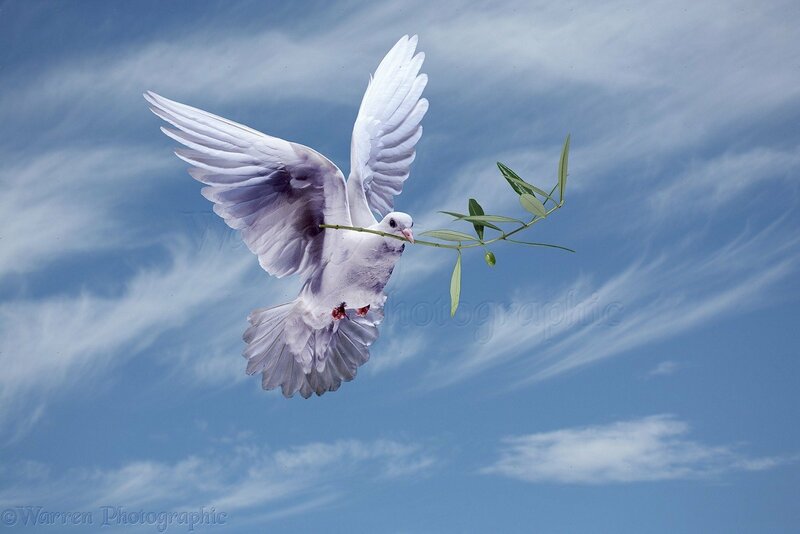 Old wounds around conflict and violence might surface. 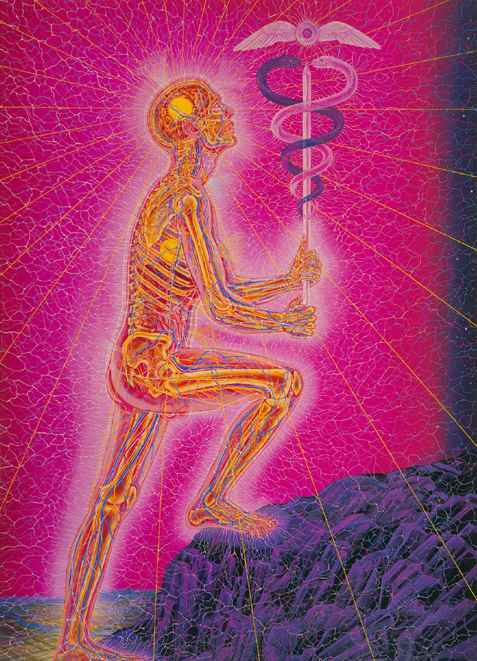 There is a tremendous opportunity for healing here, as well, if the energies are utilized appropriately. Established structures might become flooded, and overwhelmed. This could occur either outwardly and/or inwardly. Our safe space might become compromised. This is especially true around September 2, 3, and 4, 2016. I’ve rarely seen this level challenging transits all at once. Be especially gentle with yourself and others. How can you make the Mercury Retrograde in January of 2016 WORK FOR YOU, instead of against you? This MERCURY RETROGRADE can be your ALLY, instead of your enemy! Do you have BAD HABITS that you want to eliminate? Do have LIFE PATTERNS that you would like to change? Do you have NEW YEAR’S RESOLUTIONS set and want help achieving these goals? Maybe you have not made resolutions yet, because you are not sure what you really want or you doubt your ability to achieve them? This Mercury Retrograde is the perfect time to address any of those issues! Mercury is the “Messenger of the Gods”. Mercury was the only god who could both ASCEND to Mount Olympus and DESCEND into Hades. These mythological metaphors symbolize that this planet ties together the Self-Conscious (Middle Self) with our Super-Conscious (High Self) and Sub-Conscious (Low Self). When all aspects of our being are united then there is UNLIMITED POTENTIAL! Mercury is the key to ACTUALIZING INTENTIONS. In the Tarot, Mercury is THE MAGICIAN! Astrology is an excellent tool for timing magical intentions and increasing the chances of them manifesting. Mercury STATIONS RETROGRADE on January 5, 2016. This is an excellent time to turn inward and REVIEW. There are three SIMPLE and EASY processes that can be utilized. 1) Create four columns on a piece of paper, or your computer. 2) Label the columns FEELINGS, NEEDS, REQUESTS OF SELF, AND REQUESTS OF OTHERS. 3) List your feelings in the first column. Feelings come from needs being met, or not being met. 4) List your needs in the second column. Make sure they are your needs and not your expectations of others. 5) Group the needs together, if any are related. 6) Imagine what it would be like if these needs were being met. What is your HEART’S DESIRE? Access your INSPIRATION! Use your IMAGINATION! We will come back to the third and fourth columns later. The Sun and Pluto meet up the same day the Mercury retrograde begins. The Sun is our LIFE EXPRESSION and CREATIVITY. Pluto is the power of TRANSFORMATION. Pluto is also WILL-POWER. Inspiration leads to ASPIRATION. Imagination leads to MOTIVATION. This is the WATER ELEMENT. This picture comes out of the first process outlined above. State what you want aloud. 2) What am I DOING to get what I want? This is the EARTH ELEMENT. If I only have control over my own thoughts, words, and actions, then how am I utilizing these resources? State what you are currently doing with your thoughts, words, and actions aloud. 3) Is what I am doing to get what I want WORKING? This is the AIR ELEMENT. How do I measure progress, or lack thereof? How long am I willing to wait? If things do not change, how long am I willing to tolerate it? State whether or not what you are currently doing is working aloud. 4) If what I am doing to get what I want is not working, then what am I WILLING TO CHANGE? This is the element of FIRE. The idea is to create energy for change (Fire). This then feeds back into the first question of what you want (water). State your intent to change aloud. Create passion! Cycle through these questions as many times as necessary in order to gain clear answers. Saturn conjoins Venus on January 8, 2016. Venus relates to what we LOVE and DESIRE. Saturn relates to MANIFEST REALITY. The THIRD PROCESS is usually the greatest EMOTIONAL RISK for people. Here is where we finish filling in the sections began in the first process, now that we have gained emotional momentum from the second process. 1) In the third column, write out requests of yourself. Start each one with “Would I be willing…” What requests could you make of yourself in order to get your needs met and accomplish your heart’s desire? 2) In the fourth column, write out requests of others. Start each one with “Would you be willing…” What requests could you make of others to help you get your needs met and manifest your heart’s desire? You do not need to actually make these requests, yet. Simply ask write out the REQUESTS OF YOURSELF and REQUESTS OF OTHERS that you are considering. The NEW MOON IN CAPRICORN is on January 9, 2016. The new moon is a good time for planting seeds. Capricorn relates to ESTABLISHING STRUCTURES and GIVING FORM. Write out a clear and concise VISION STATEMENT, based on the First Process and Second Process above. The length ought to be no more than one short paragraph. Phrase it in the POSITIVE, in terms of what you want rather than what you do not want. Phrase it in the PRESENT TENSE, as if you already have achieved your vision. Begin reciting this Vision Statement as an AFFIRMATION OF INSPIRATION every night before you go to bed, like a mantra. Make sure to charge it with the emotional energy gained from the First Process and Second Process above. Really want it! MERCURY STATIONS DIRECT on January 25, 2016. Write out a clear and concise MISSION STATEMENT, based on the Third Process above. What are you going to ask of yourself and others in order to manifest your vision (heart’s desire)? Begin reciting this Mission Statement as an AFFIRMATION OF ASPIRATION every day when you wake up. Be serious about it! MERCURY UNITES WITH PLUTO on January 27, 2016. Mercury is the DECISION-MAKER. Pluto is DETERMINATION. Begin taking action to make your dreams come true! If you would like assistance with this process, then please contact me. If you do not text, then please feel free to call and leave a voicemail message. I work with clients who live locally in my office in Nevada City, California. I work with clients who do not live locally over the phone, or through Skype. Make this Mercury Retrograde work for you, instead of against you. There are some big astrological transits in play, right now! Jupiter moved up to a position opposite Chiron today. This creates a dynamic tension that may EXPAND OLD WOUNDS. Simultaneously, Uranus is opposite Juno. Juno is the goddess of marriage. This brings an UNPREDICTABILITY to relationships and marriages. It also might bring up tendencies towards IMPULSIVITY, and a need for FREEDOM or CHANGE. 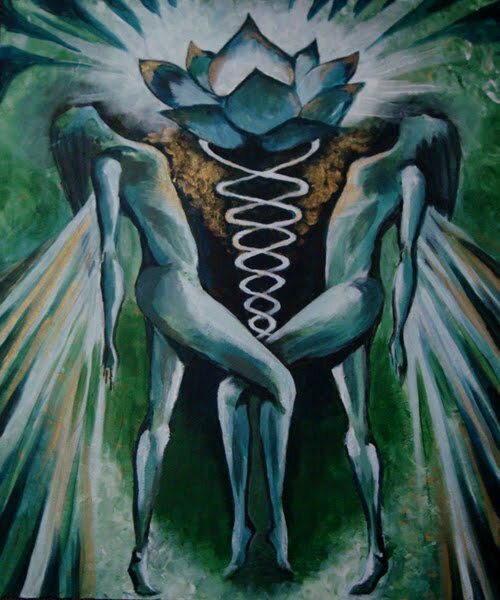 Ultimately, though, the ENERGETIC VIBRATION of relationships is seeking to be RAISED. On November 8th, Hygeia joins with Jupiter and they both oppose Chiron. Hygeia is the goddess of health. Rather than only the wounds being magnified, the OPPORTUNITIES might also now be expanded. November 11th is the New Moon in Scorpio. Avoid holding on to GRUDGES. There might also be a tendency towards “ALL OR NOTHING” thinking and actions. The gift of Scorpio is the opportunity for RENEWAL. During this entire time, Juno is at the front of a chain of planets (stellium) with Jupiter and Hygeia at the tail end. The message seems to be that we need to pull from PAST LESSONS OF HEALING and APPLY THAT WISDOM TO PRESENT RELATIONSHIPS. Astraea is in the mix from November 2nd through November 4th. 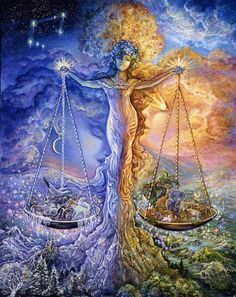 Astraea is the goddess of justice, so LEGAL ISSUES might come up. These energies will likely be experienced on a more personal level if you have anything at 17 degrees of *any* sign in your birth chart. The only way to know, for sure, is to check your birth chart. 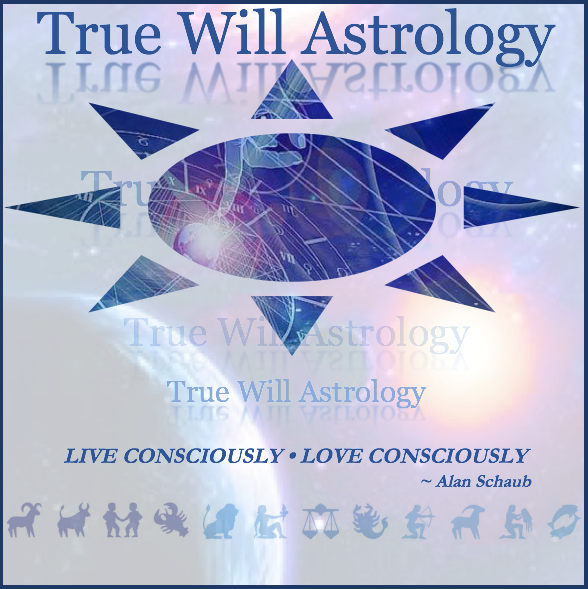 I offer astrological readings, spiritual life coaching, and couples coaching. Please feel free to contact me if you want more insights into these transits, and how to deal with them. The first 15 minutes of the first session is FREE to new clients, with absolutely not obligation to continue. Otherwise, I charge only $1 per minute and sessions can be of any length. I can work with people over the phone, or through Skype, if you do not live in the area of my office located in Nevada City, California. The exact time of the NEW MOON IN VIRGO will be close to midnight (11:41 PM PDT) on Saturday, September 12, 2015. In the eastern portion of the United States, it will be at 2:41 AM EDT on Sunday, September 13. I think this transit could be challenging for some people. The opportunities for soul growth might be especially significant for those who have any aspects at 19 or 20 degrees of any sign. Please check your birth chart to know for sure. For new clients, I am willing to provide a copy of your birth chart, as well as a 15 minute reading. Both are FREE! The Sun and Moon will be together (conjunct) at 20 degrees of Virgo. This is a perfect opportunity to make ourselves “virginal”, in a spiritual sense, and receptive to the Divine Impulse. This is a good time for rituals to purify ourselves on every level. In this manner, we may conceive our own “magical child” within the virgin vessel of our being, meaning awakening to our True Self. The Tarot card for Virgo is the Hermit. Take some time to withdraw from the world and focus on your own integrity, meaning alignment with your needs and values. Take care of your health, including setting healthy boundaries. 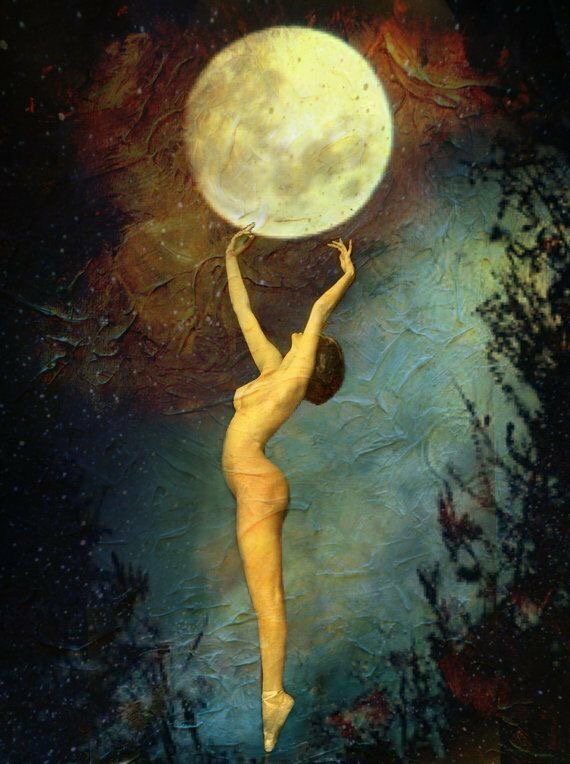 Once the new moon ends, having taken care of yourself, you will be in a better position to offer sacred service to others. This is symbolized by the lamp that the Hermit extends towards the outer world from his place of refuge. Chiron (The Wounded-Healer) will be at 19 degrees of Pisces, opposing the Sun and Moon. Chiron, as an astronomical body, orbits between Saturn and Uranus. The Tarot card for Saturn is The World, which is our Lower Nature. The Tarot card for Uranus is the Fool, which is our Higher Nature. The depiction of Chiron in mythology as a centaur, or half man / half horse, represents the union of higher and lower natures. However, Chiron was the only centaur who was immortal. 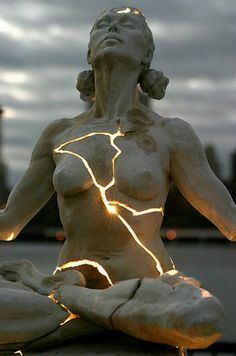 Whatever wounds may come up for you, remember your own divinity. Strive to align your lower nature / vehicle (body, car, etc.) with your higher nature. Also, lift your wounds from your lower heart (resentment, feeling sorry for yourself, etc.) to your higher heart (compassion towards self and others). Uranus (The Great Awakener) will be at 19 degrees of Aries, also aspecting the Sun, Moon, and Chiron. Uranus is our antennae to the Divine, and represents Universal Consciousness. 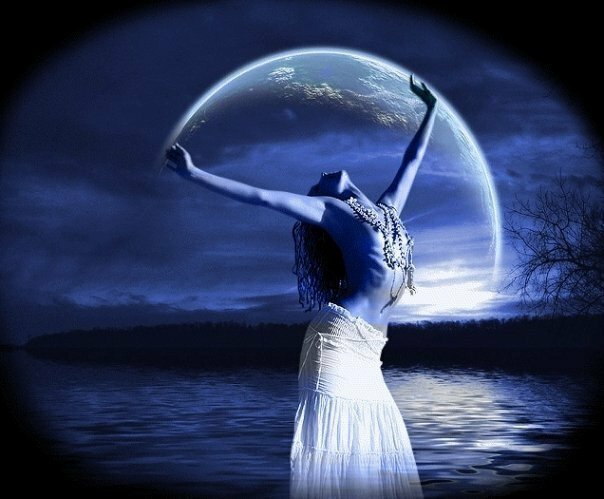 Take as much time for meditation as you are able leading up to the full moon. What you will notice afterwards is an increase of synchronistic experiences where you *seem* to be “at the right place at the right time”, without conscious effort. Of course, there are no coincidences. This is simply the view of our ego, which is the illusion of separation. Saturn is passing through the final degree of Scorpio. If you have anything at 29 degrees of any sign then this might impact you more directly. We are passing through the eye of the needle! Let me know if you need support. Do you need assistance with RELATIONSHIP HEALING? Today is the NEW MOON IN ARIES. One might think that the Sun and Moon both in Aries might place an emphasis on SELF-EXPRESSION and CARE OF PERSONAL NEEDS. This is true! There is also a combination of energies in play that may offer the potential for HEALING, particularly with regard to RELATIONSHIP. Unless we assert our individual needs, healthy partnership is impossible. The North Node indicates where the energies are moving. In this case, Libra is the sign of PARTNERSHIP and HARMONY. The South Node is the past, including PAST LIVES. In this case, the South Node is aspecting Vesta, Neptune, and Hygeia. 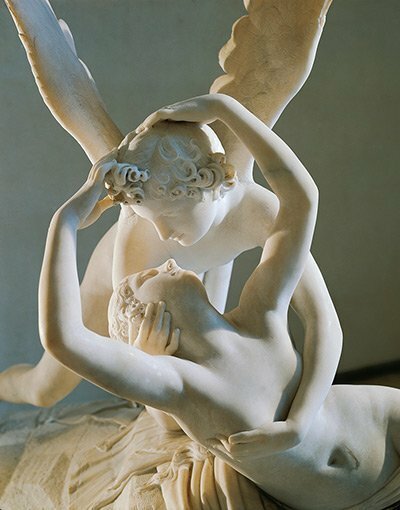 Vesta and Neptune are conjoined, which translates to holding sacred space (Vesta) for unconditional love (Neptune). 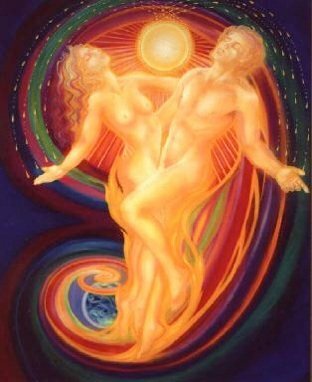 Can you see yourself and your partner as EVOLVING SOULS and offer each other UNCONDITIONAL LOVE, even when there are aspects of each of you and your relationship that you may not like? There is a beautiful trine between this conjunction (Vesta and Neptune) with Hygeia (goddess of healing), which indicates the potential available for HEALING. Mercury (communication) is aspecting Venus (love), which is supportive of EMPATHETIC COMMUNICATION. Pluto (god of the dead and guardian of riches in the underworld) is aspecting Lilith (wound of the divine feminine when her trust has been broken with the masculine). If we can FACE THE SHADES OF THE PAST, then we can RECOGNIZE UNHEALTHY RELATIONSHIP PATTERNS. There is a wealth of emotional resources to be mined and utilized in relationship if the unconscious habits that limit intimacy can be made conscious. Instead of continuously reacting in an unconscious manner, we can begin truly RESPONDING CONSCIOUSLY. Saturn aspecting Ceres gives STRUCTURE and COMMITMENT to NURTURANCE in order to make all this happen. A grouping of aspects is being formed called a MYSTIC RECTANGLE. Three of the corners are formed by Venus, Ceres, and Saturn. The fourth corner is a pairing of Jupiter (expansion) and Juno (marriage) in Leo (romantic love).